This Riverdale actor stars in Ariana Grande’s risque new music video | SHEmazing! 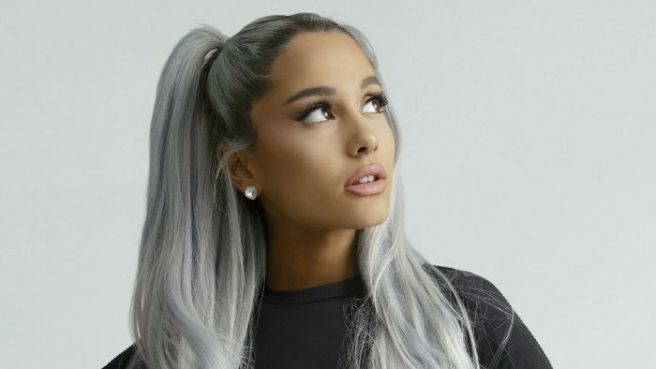 Ariana Grande unleashed her new album Thank U, Next on the world, and as these things do, it's currently going viral. Ariana also launched the music video for the 12th song on her album, called break up with your girlfriend, i'm bored. While the premise of the song might be questionable, the cast of the video is stellar. The video, shot moodily in a series of clubs and rooftop parties, shows Ariana attempting to infiltrate a male-female couple. The boyfriend, as would be noticed by Riverdale fans, is played by Charles Melton. The girlfriend is played by model and social media star Ariel Yasmine. The video showcases the couple dancing in a club, as Ariana watches them from afar in an icy blonde wig. Ariel beckons to Ariana to join them, as the lyrics 'break up with your girlfriend |yeah yeah 'cause I'm bored | you can hit it in the mornin,' yeah, yeah, like it's yours,' play over the scene. There are some major Single White Female vibes as Ariana later shows up at a party hosted by the couple with an identical outfit and hairstyle to Ariel.